Are you ready for another CCEE challenge? Frances is continuing our May themed challenges celebrating Mothers & Babies, and this week she's given us a Inspiration challenge: create a card/project using a nursery rhyme as your inspiration. 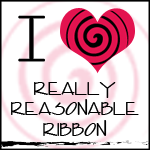 You can get all the details on our CCEE Blog as well as see the designs my incredibly talented teammates (Frances, Cindy, Joanne, Tosha, Shirley) made. I used my Teatime and Coffee and Tea Inchies from the Party sets by Rubbernecker. I stamped the teapot onto white cardstock and stamped it again onto designer paper and cut that one out and adhered it over top the stamped image on the white cardstock. My tea bags were colored with a Pale Olive Copic marker. The little tea bag is from the Inchie stamp set and I cut that one out. The designer paper is from the retired Rockabilly dp by Stampin' Up. 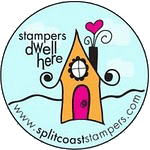 A few weeks ago, Linda (aka Snail) was the Queen for the Day on Splitcoaststampers, and I didn't get a chance to honor her with a casing of one of her cards at that time. Therefore, I chose her adorable Snowmen card as a basis for my CCEE challenge card today. I changed everything on my card except for her basic sketch design. I hope you're having a wonderful day and will find time to play!!! Oh, how cute, brings back some memories of a long time ago. Love the colors, the scallops and the piercing. Charlene this is so CUTE great idea!! Hi Charlene...I am pretty sure I have this same set and it's been sitting on my desk awhile waiting for inspiration, I didn't know this was an inchie! Well, it's adorable...love the layout and cute and sassiness of this!! Our oldest daughter is graduating college this week so I have been a bit behind, but wanted to say howdy and always nice to know I can come and visit you here. Big hugs! Wow! 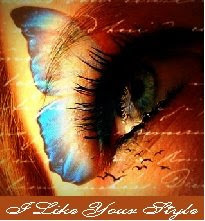 What a great design and border for your images! Awesome, Charlene! 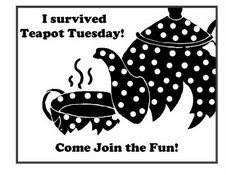 what a fun Tea card Charlene - love the green and circles design!